In spite of the fact that games consoles, tablets and smartphones are stereotypically associated with the younger generations, and 15-34 year old males still hold the lion’s share (26%)1of the gaming market, a new demographic has burst onto the gaming scene in recent years: the elderly. 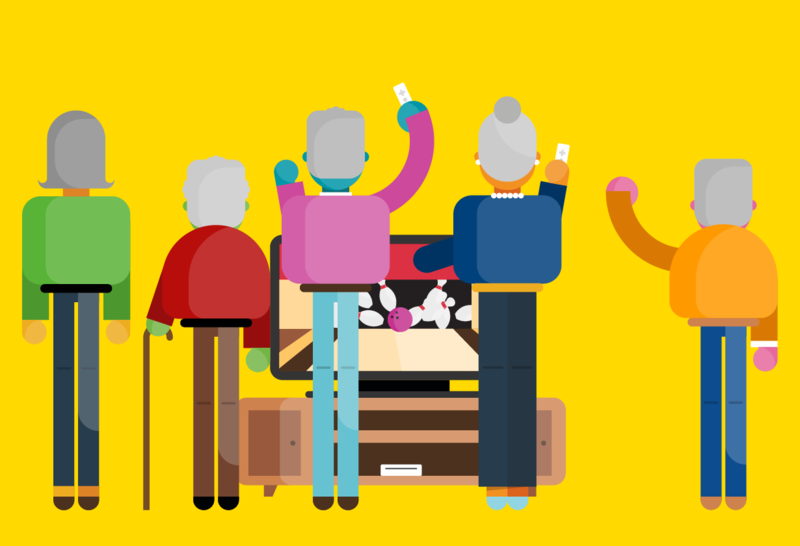 Our Real Retirement Report reveals that just over a third (34%) of people aged between 65 and 74 now play online games at least once a week, with one in ten (9%) also owning a console. Albeit a little unconventional, this new-found love for video games amongst the elderly has the potential to change the future retirement landscape. Studies have shown that gaming can have a positive impact on both the mental and physical health of older players and, in a society where life expectancy is ever-increasing, this could allow people to maintain a similar lifestyle well into their later years. From motion games that encourage movement, to brain training games that stimulate positive brain activity, technology now provides more choice than ever before, not only in terms of game ‘experiences’, but also in regards to the benefits associated with playing. Loneliness is an issue that has long affected the elderly. A recent poll carried out by Age UK2 revealed that half a million people over the age of 60 spend every day alone, and almost half a million more don’t speak to or see anyone five or six days a week. Having said this, social interactions are an extremely important aspect in people’s well-being, and video games can be a great way for the elderly to build social connections. Having conducted a series of experiments on the subject3, Dr David Kaufman from Simon Fraser University established a positive correlation between playing social or multi-player games and social connections amongst older people. Kaufman’s research found that friendships and interest in others increased amongst those who played video games together, which consequently reduced loneliness. According to numerous studies, playing video games that exercise memory and reasoning skills – commonly referred to as ‘brain training’ games – can be hugely beneficial to older people. 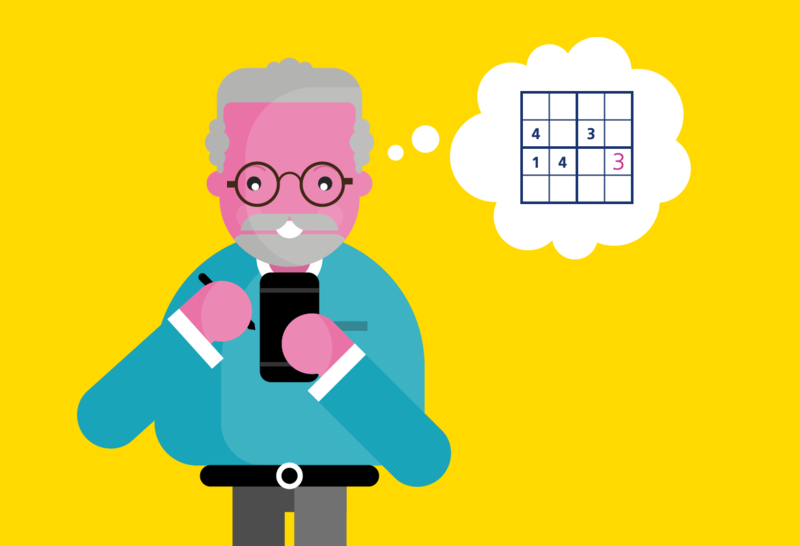 One particular study4 carried out by researchers at King’s College London revealed that playing brain training games could significantly improve memory and the ability to perform day-to-day tasks in older people. During the six-month experiment, which involved almost 7,000 people over the age of 50, participants were encouraged to play games for ten minutes at a time, as often as they wished; they were also asked to periodically complete a number of cognitive tests. The study concluded that, after six months, participants over the age of 60 saw significant improvements in their ability to carry out daily activities, such as using the phone and shopping, while those over 50 noticed a heightening of reasoning and verbal learning. This ability to better maintain cognitive skills appeared evident when people played the games no less than five times a week. The physical benefits of motion games in particular – ones which allow players to interact with the game using body movements – are clear and undeniable. A number of studies, such as that carried out by Florida State University5, suggest that playing motion games can increase older people’s flexibility and ability to stand. In view of the fact that leaving the house can be difficult for some elderly people, an added benefit of motion games is that these allow them to exercise in the comfort of their own home. Even though games and their interfaces have vastly improved and simplified in recent years, there are still issues that need to be addressed in order to make video games even more welcoming to older users. With younger people still making up the largest gaming demographic, many video games are designed with this age group in mind, rather than also taking into account particular disadvantages faced by older players – such as slower reaction times. Studies6 indicate that this could lead some elderly players to feel ‘unfit’ to play video games, consequently stopping them from reaping the potential rewards games could bring to them. Another barrier to overcome is the way in which video games are promoted to older audiences. While the health benefits these bring to the elderly are invaluable, much of the marketing towards older people remains focussed on these, rather than also showcasing how games can offer meaningful and entertaining content. The rise in the number of older adults playing video games is eating away at stereotypes associated with the medium. Not only can video games bring significant health benefits to seniors, but can also provide people with a way to let off steam and make new friends. If more were to be done to further engage this relatively new gaming demographic, video games could end up playing a role in shaping the lives of future retirees. While many elderly people feel confident using tech, there are a number who still ask friends and family for help. Find out how to teach the elderly about tech here. A number of older users fear being hacked, scammed or part of fraudulent activity when using technology. Read our handy guide on avoiding common scams here.